3 Bedroom, 4.5 Bathroom With Mountain Views, Hot Tub, Sauna, Garage And More! This is the Blacktail Cabin located just 15 minutes from the city of Steamboat Springs. 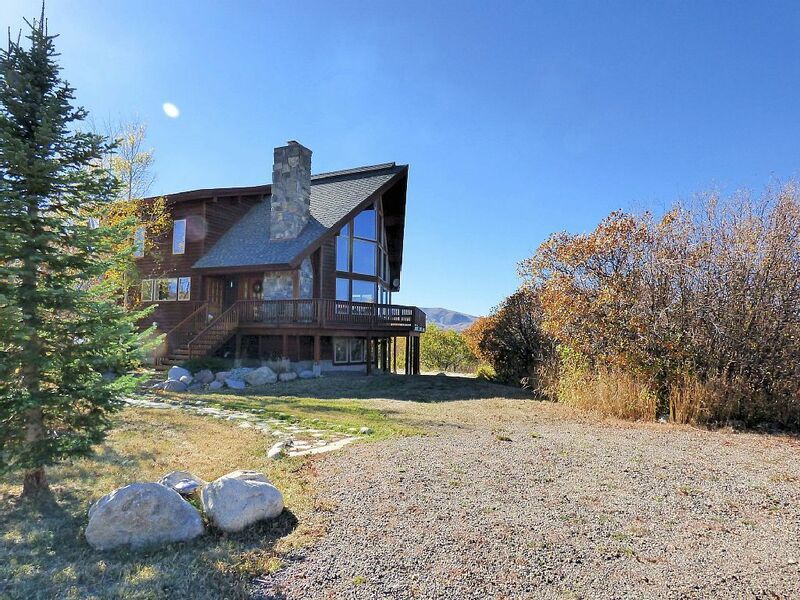 You'll find yourself with room to roam in this modern and secluded mountain home. This home boasts 3 bedrooms and 4.5 bathrooms a private hot tub and sauna. Great house, beautiful location, lots of room. Worked well for our group. 4 x 4 is a must in winter weather. Parking with a trailer is possible but not advised. House is very nice. Everyone enjoyed staying there. Owners were easy to contact. Beautiful place and setting. Love the oak creek area. Excellent spot, well maintained, beautiful views, quiet, excellent management. This was the perfect house for our ski weekend. It has everything we needed, lots of room and very cozy. It's an easy drive to the slopes and back to relax! Owner's do a very good job of communicating. Overall a great experience, would highly recommend it! Beautiful Property in a Great Location! We enjoyed our stay at this very nice cabin only 20 minutes outside the town of Steamboat, Springs. The house is beautiful and has lovely valley views. We enjoyed cooking on the gas grill and relaxing in the hot tub. The kitchen is very nice, but we did have a little trouble getting the oven to heat up correctly. The bedrooms and bathrooms are great, however we did find that the queen bed mattress on the second floor was not comfortable. Rental rates, availability, and minimum nights are subject to change based on weekends, holidays and demand.